Maruti Suzuki India plans to develop and design a car from scratch and launch a 'Made in India' model in two years. Maruti, which is now being developed as a global R&D hub for its Japanese parent, Suzuki Motor Corp, has announced significant investments in enhancing its overall R&D capThe company will invest Rs 1,000 crore in two phases to establish a full fledged R&D centre and a vendors' park at Rohtak (Haryana). The land allotment agreement was signed on Friday by Maruti Suzuki managing director and CEO Shinzo Nakanishi and the MD of Haryana State Industrial and Infrastructure Development Corporation, Rajeev Arora. The Rohtak R&D complex will house a R&D centre for passenger cars -- including India's first state-of-the-art test track with a proving ground, wind tunnel, crash facility etc. While the development of the allotted land and construction of the test tracks will be completed during the first phase by 2012, the overall R&D facilities will be progressively completed by 2015. "This facility in Rohtak would be a big step forward in building the R&D capability of Maruti Suzuki, and enable us to offer superior products to our customers in the future as well," Nakanishi said. This complex will augment the full vehicle design and development capability of Maruti, thereby meeting the specific needs of the Indian customer. The first phase of this project will see Rs 400 crore investment by 2012. Maruti has two manufacturing facilities at Gurgaon and Manesar with a combined manufacturing capacity of 1 million units per year.ability. On the surface of it, gold bulls would have good reason to fear months more of depressed demand from India, the world's top consumer: not only are prices still near record highs, but vital monsoon rains are in a deep deficit. But a close analysis of import patterns over the past decade shows that rainfall is a poor predictor of gold demand in the latter half of the year, when harvest revenues and a series of festivities typically cause a spike in buying. Looking more closely at the better-aligned indicators suggests in fact that imports should rally: the change in gold prices, which for the moment are higher than a year ago, but stable in the past few months; and rural GDP, projected higher but which could be supported by strong prices and government support plans in case poor rains damage the harvest badly. While India's economy still remains heavily dependent on a farm sector that, in turn, relies on the monsoon for 60% of its irrigation, the old link that suggested heavy rains would translate into a gold buying frenzy has evaporated, say analysts. "We are not in the 1980s and 70s and 60s when rain played a very important role in our GDP through the agri sector growth," said Amitabh Chakraborty, president (equity) at Religare Capital Markets in Mumbai. "Now agri GDP is more related to rural wealth and that is actually underpinned by many rural schemes." The case for a recovery in demand -- after a 54% slump in imports in the first half of the year -- was also bolstered by a survey of leading retailers at the India International Jewellery Show this week in Mumbai. Based on a simple regression using available data, including GFMS imports for the second half of every year since 2000 and price changes, imports in the second half may rise about 15%, according to an analyst who performed the analysis on behalf of Reuters but declined to be named because of company policy. "The estimate of the percentage increase in gold imports is about 15% provided the gold price increase of 19% stays steady," the analyst said. He cautioned though that: "considering the paucity of data, the prediction bands are very wide." A 15% rise would boost July to December imports to 457 tonnes. In July-December of last year, despite average rainfall, imports rose 46.5% year on year. Examining data for the second half of the year from 2000 through 2008, gold imports have the highest correlation with percentage change in prices at 0.66. But the correlation with rainfall is just -0.1, suggesting no consistent relationship between the two. A correlation of 1 indicates a perfect relationship, and a -1 indicates the two data points move in opposite directions. "Though a monsoon is needed to spur agricultural incomes, it is not the only driving factor," said T. Gnanasekar, director at Commtrendz Research. That figure should help assuage concerns of a further deterioration in imports if India's June to September rains continue to fall short of norms. So far this season rainfall is about 28% below the norm, well below the government's forecast for a milder 4% shortfall at the start of the monsoon. So far 161 districts have been declared drought prone, stoking anxiety about the impact on economic growth. The figures also suggest that while crops may shrivel, government measures often cushion the blow for farmers with measures such as easier credit, loan waivers, employment generation plans and state-set 'minimum support prices' -- all of which help generate money for buying gold. In this year's budget, the government set aside an agriculture credit meant for cheap loans to farmers of 3.25 trillion rupees ($68 billion), up 13% on year. Also, nil taxation and migration to cities, additional earnings by farm populations and selling of land with increasing urbanization put capital into farm productivity, the analysts added. "A lot of tertiary jobs have been created. Go to any mall, there are 200 people either mopping the floor or housekeeping... Earlier there were no avenues for the village people to earn other than agriculture," Chakraborty added. India's political ideology traditionally favours the farm community, which employs around 70% of its 1.1 billion population, although its share in national GDP has been declining. Ultimately, it may be price stability more than anything else that will dictate the pace of buying over the next few months, with global bullion having steadied at around $950 an ounce, a relatively modest rise from an average $833 in the second half of last year, when prices backtracked over six years of gains. In the busy season when the biggest of the festivals fall, a sharp dip often catches the trade unawares and stocks are known to run out and quick imports are made at big premiums. Even a rally in prices may actually turn out to draw more people to buy fearing further rises: data show that when prices jumped sharply year on year -- in 2002, 2004, 2006 and 2008 -- the busy season imports also jumped on year, possibly because people rush to buy on the dips. "I think there will be good buying when the market comes off," said Afshin Nabavi, head of trading at MKS Finance, Geneva. The old soldier has faded away. And the battle-hardened eyes of his men glisten like medals. He was always more Sam Bahadur than Field Marshal SHFJ Manekshaw. He won hearts even more than he won wars. His weapons were a rakish charm as well as valour; the twinkling look as much as the straight baton. Death had a tough time capturing him, and it hasn't been for want of determination. The young soldier escaped from its near-certain clutches twice on the battlefield in Burma during World War II. Indeed, on the first occasion he was felled by a point-blank gun shot in his stomach. Maj Gen D T Cowan spotted him holding on to life, quickly pinned his own Military Cross ribbon on to Manekshaw saying, "A dead person cannot be awarded a Military Cross." Over 60 years later in November 2005, his obituary was revised, and ready to roll off the presses as he lay in a coma. He rose again to fight another day. But now the Last Post has been bugled. Of such stuff is legend. Sam Hormusji Framji Jamshedji Manekshaw, all one man. One man who had handled it all. The raw heat of enemy fire and the white-hot core of the War Room; forging the three services into an integrated, taut, toned fighting machine and managing the bloodied chaos of Partition and then, 24 years later, the waves of East Bengal refugees fleeing the brutality unleashed by their West Pakistani masters; managing the POWs he took in 1971. Yet, though he was honoured with a rank higher than any Indian soldier, he remained forever a jawan. He was so warmly inspirational, and not only for the beloved Gurkhas of his regiment; in every ceremonial parade, all soldiers march with the jauntiest gait when the band strikes up 'Sam Bahadur', composed for him after the 1971 war. I will never forget how we sat at the radio that heady Saturday afternoon of the surrender, feeling the goose bumps rise as he called on Tikka Khan's soldiers to lay down arms. The 'butcher of Bangladesh' had himself been decimated by the Indian army. But it was infamous defeat not victory that provided my first encounter with Manekshaw. In 1962, I accompanied my father to the Control Room of Calcutta's Fort William, and stood awestruck as he bayoneted a map with the positions where the Chinese army had trapped his almost bootless soldiers. Then, three decades later, I summoned the courage actually to spend time with him. I had moved to Bangalore, and he had moved from guns to roses in his retirement cottage near Wellington. We wound our way up the winding Kotagiri road; all the urchins whom we asked for directions straightened up visibly as they proudly obliged. We found him washing his car. "Come for lunch tomorrow,'' he said without preliminaries. We did, savouring his stories and his wife's casserole which arrived grandly on a dumb waiter up from the kitchen on a lower part of the slope. He looked out on to the "wild acres bought by Silloo who was abandoned here in Coonoor when Nehru summoned me in 1962. 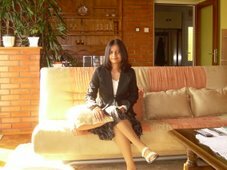 She paid the princely sum of Rs 18,000 for them, and designed this house. See, each window frames a panorama. My wife has hijacked a corner of my garden,'' he added indulgently. "Why did you call your daughter Sherry?'' we asked. "I did, but I didn't tell her to marry a chap called Batlivala, and name their daughter Brandy!" Still poker-faced, he continued, "My other daughter, Maja, married a Daruwala." He then told us of his late mother's early predicament. 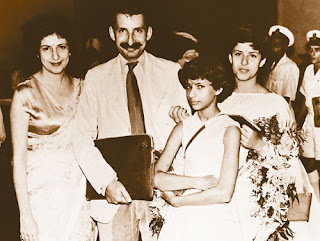 Manekshaw's doctor father had set up practice in Amritsar, and he brought his young Bombay-raised bride here. "As the train steamed in, she wept in sheer panic for, there, bathing under a tap on the station, was this huge man with flowing black beard and hair down to his waist: she had never seen a Sikh before.'' In 2003, I met Sam Manekshaw the last time. I lived in Delhi then, and the whole capital it seemed had turned out to greet him on his 90th birthday. The Oberois wheeled in a cake, and Parzor, a UNESCO-funded NGO preserving the Parsi heritage unspooled a documentary on him. Predictably, all speaker paraded the hope of 'hitting your century'. Death ran him out five years too early. It may have won that battle; but Sam has still decisively won the war. OVER the past decade, India has moved relentlessly towards claiming its place as one of the world's most powerful nations. Amid the cacophony that represents Indian politics, India's rulers have slowly but surely put together a fabric that allows business to prosper. A giant landmass making up the bulk of an entire subcontinent, India is a country in which 1,2-billion people -- of different languages, cultures and just about every religion on the planet -- miraculously live together in relative peace and harmony, despite some deep schisms and fault lines emanating from those differences . This melting pot of cultures has resulted in the country walking a tightrope amid the coalition politics that have kept the current government in power and still managed to bring about transformation. India has the fourth-largest economy after the US, China and Japan. India is one of only 10 countries with a gross domestic product (GDP) of over $1-trillion. At its current rate of growth, the Indian economy will add nearly one France every three-and-a-half years and one Australia every year. The middle-income category is currently 50-million strong. The number of middle class people is expected to reach 583-million by 2025. One percent of the hitherto low-income group has been shifting into the middle class every year for the past 10 years. In pure numbers, this is the largest segment of the population, of around 40 million people annually. India has the highest growth rate of dollar millionaires and billionaires, yet 25% of people earn below $1 a day. .Although India's employment numbers are very high, so is its unemployment rate. Outsourcing and information technology. These already make up more than 20% of the GDP and are growing at a faster rate than the overall economy. Consumption. Feeding and selling ordinary daily essentials to a 500-million-plus consumer base is a lucrative business. Infrastructure. Meeting the challenges of growth in this country is a huge task. Already an estimated $1-trillion is being proposed for spending in the next five years. Financial products: A huge opportunity in an increasingly urbane population, which, as matters stand, has only 5% of national savings in financial markets. Most notably, information technology in India has successfully moved up the value chain. Whereas it was once a mere labour cost arbitrage-driven outsourcing business, today it is a highly acclaimed treasure house of intellectual capital. Ironically, this IT-led surge and increasing liberalisation have forced the historically lagging public sector companies -- with their much-maligned bureaucracies and inefficiencies -- to wake up and start to make dramatic changes. This is a unique transformation, in which the public sector, instead of withering away as predicted, has become stronger and proved itself to be an able competitor to the private sector. State-owned behemoths such as the State Bank of India, the Life Insurance Corporation of India, ICICI Bank, the Steel Authority of India and the Oil & Natural Gas Commission, among others, have shaken off their historical images and confounded their critics by capitalising on opportunities available to them to become powerhouses in their respective arenas. India has historically, thanks to its post-independence state-subsidised education focus, produced surplus labour. This has changed and, for the first time, Indian businesses are now beginning to face a skills shortage. Long criticised for its failure to curb population growth, suddenly its young population is being hailed as its biggest advantage. India is therefore in the midst of a transformation few nations have managed. A sharply divided and highly politicised country with significant polarisation and populism set amid a long-suffering and largely "unconscious" electorate can be fraught with pitfalls. There are bound to be disappointments in the pace and quality of some of the reforms. But India has become a relentless force with awe-inspiring momentum. The energy and enthusiasm of the citizenry in India will pave the way for sustained growth and development. India is poised to become the most important economy in our lifetime and Indian-owned businesses are set to dominate the world markets. Admittedly, the jury is still out on where it will all finally lead to. But never in the history of modern times has such a story unfolded, and big business cannot afford to remain a bystander. "Go east" should be our mantra. Arcadia had been in talks with Indian real estate firm DLF (DLF.BO: Quote, Profile, Research), but "finally decided in favour of a franchise agreement with Tata Group's retail chain Trent (TREN.BO: Quote, Profile, Research)", the newspaper said, citing a person close to the development. A spokeswoman for Trent declined comment. Green had said in April he was pushing ahead with Topshop's international expansion, including the first store in the United States slated to open in October. He said at the time he was nearly set with plans to enter China and Hong Kong, too. Foreign retailers are showing keen interest in India's fast-growing retail industry amid stagnating growth at home. Single-brand foreign retailers in India are allowed to take up to 51 percent in a venture with a local retailer; multi-brand retailers are limited to franchise or licence operations. Marks & Spencer (MKS.L: Quote, Profile, Research) in April signed a joint venture agreement with Reliance Retail, a unit of India's Reliance Industries (RELI.BO: Quote, Profile, Research), for stores to sell apparel and homeware. Trent, which operates department store chain Westside, hypermarkets and bookstore chain Landmark, last year said it would manage Benetton Group's (BNG.MI: Quote, Profile, Research) Sisley stores in India. WASHINGTON: The Speaker of the US House of Representatives Nancy Pelosi will be visiting India tomorrow on a five-day trip, with the Indo-US nuclear deal as an agenda. 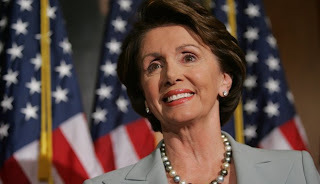 Pelosi, a powerful Democrat on Capitol Hill, will have her official meetings on March 20 with the Prime Minister Manmohan Singh and other senior leaders. Unlike other top lawmakers who include a few countries in their visits overseas, Pelosi is on a "India Only" visit. She is expected to discuss major issues in the bilateral relations between India and the United States including the civilian nuclear deal. Like her colleagues in the US Senate, who have visited India recently, Pelosi may also stress on a time-frame for the submission of the deal to the Congress, where she will be the major player in case of a final vote in the House. The environment issue is also likely to attract considerable attention both in her official and non-official meetings. Besides, the issue of Tibet may also be into the focus during Pelosi's visit to India especially in the context of the recent crackdown by China in the capital city of Lhasa. The Speaker is an admirer of the Dalai Lama and has backed his calls for dialogue while generally being sharply critical of Beijing. One of India's leading software companies, Tata Consultancy Services (TCS), has joined the fray in Thailand's software industry with the aim of becoming a leading player and catering to other parts of the region from the Bangkok-based office. "This is a market that we have been looking at for a very long time and have finally got the approval from the Board of Investment (BoI)," Grija Pande, the chief executive for Asia Pacific, said in a recent interview. "Our hope is to be able to add value to the various industries that we have our strengths in, be it financial services, telecommunications services or the government." Although the move by TCS into the Thai market comes after some of its rivals have already made their presence felt, Mr Pande says that competition in the market would only help drive the overall industry's growth. TCS, which caters to some of the world's largest clients including GE, says that the presence of the multinationals in Thailand would be the driving factor for TCS. TCS, which has a presence in key Asean markets, such as the Philippines, Indonesia and now Thailand, wants to use these offices as its centres for the region, although there are times when the company believes that countries such as Vietnam may be of interest in the future. "The region has always been of great interest to us but we had to delay the plans because we were focusing on the major expansion in China," Mr Pande said, adding that currently there were 1,200 staff in its Chinese operations. "We have a philosophy that unless we do not have a strong business, we do not like to go to that market," he said, noting that Thailand was the 45th country where TCS had a presence. With the rising cost of doing business in India, Mr Pande said there had been been talk of shifting the industry to cheaper countries, which he believes is a wrong notion. The only activities that should be shifted, in his view, are call centres that rely on low costs, but programming and other complex activities need to remain in India, where technological know-how is still stronger than in most parts of the world. India's cost structure is rising at "unsustainable" levels of more than 15% annually, he says, Despite this, TCS has shown a strong performance by posting a 50% cumulative average revenue growth rate over the past five years and this year, despite the global gloom and doom. The key, he says, is to diversify the exposure. "We have taken a conscious decision for five years to diversify our exposure to the United States and now the US accounts for less than 50% of our revenue," Mr Pande said. He added that Europe now accounted for 20% of TCS's business and the rest of the world or the emerging markets 20%. The emerging markets have the biggest potential, with growth rates of more than 40% that could help offset the slowdown in the United States. Mr Pande said that in Thailand TCS would focus on banking, telecommunications and the government sector. Lately, TCS has entered into a joint-venture agreement with Thai Reinsurance to set up a company to provide IT outsourcing for medium-sized and small insurers. The company holds 20% of the new venture and the first customer is Falcon Insurance which has a five-year application service provider agreement. TCS has set up a company in Thailand to provide three main services: IT services, business-solution services and outsourcing. It focuses on banks, telecoms and the government sector, the areas where the company has gained experience from serving worldwide customers. This year, banking customers will invest more in IT, especially core banking systems. In the past, TCS developed software packages for the core banking system and bought other software companies that provide the core banking system to add to its current services. Furthermore, it has experience installing core systems for large banks worldwide such as Bank of China, which has 22,000 branches and 380 million accounts, and State Bank of India. It is expected that within 12 to 18 months, TCS will have more customers, five or six of which are Thai and foreign banks. The telecoms business is expected to grow as well and the proposed solutions for target telecommunication customers are the billing system and operating system for service and support. The company also has built up experience providing billing solutions to service providers in Asia such as SingTel, Indosat and Telekom Malaysia. Last week, the company had a chance to propose its own technology for government agencies to Deputy Prime Minister Suwit Khunkitti. The proposed solution is a company registration system via the internet which helps foreigners set up companies within two days. Britain on Monday assured India that there will be no discrimination against Indian professionals in the new point-based system for work visa. In a meeting with Minister of State for Industry Ashwani Kumar here, Duke of York and Special Representative of UK's Department of Trade and Investment Andrew Albert Christian Edward said there would be "no discrimination against Indian professionals for work visas in the UK". Kumar hoped that the new visa system would give greater fairness to Indian professionals for entry in the UK. The new point-based system for managing migration would ensure only workers with skills to benefit Britain's economy come to the UK and put in place a licensing system for businesses who want to recruit from overseas. Both sides also stressed on the need to increase business contacts between SMEs, service sectors, education as well as skill upgradation. Referring to the overall outward investment profile of the UK, Edward said there is tremendous scope for an exponential growth in trade as well as investments. He further said he hoped India will take next level of steps for improved market access. UK is the third largest investor in India with cumulative FDI of 4.13 billion dollars. Indian investment in the UK during 2006-07 in 76 projects generated 1450 jobs making it one of the major investors. Total investment in these 76 projects was to the tune of over two billion dollars in sectors like telecom and IT. It is good news for those fresh out of college or for those who are keen for a job change, as a leading HR consultancy firm has predicted one million new jobs in India this year. Ma Foi Employment Trends Survey (METS), conducted by Ma Foi, one of India's largest HR consultancy firm has predicted a three per cent increase in employment in 2008. The largest chunk of the new jobs according to the survey would be generated by hospitality sector which is riding high with the tourism boom in the country. "The Hospitality sector will generate the maximum number of employment in 2008. 426,668 jobs are going to be generated by the Hospitality sector. This sector is closely followed by Health at 295,829 and Education Training & Consultancy at 166,005," says the survey. It adds that an estimated USD 11.41 billion is expected to be seen in the Hospitality sector in the next two years and that India is likely to have around 40 international hotel brands by 2011. "The boom in the tourism industry has had a cascading effect on the hospitality sector, which was a result of the increase in the occupancy ratios and average room rates. With the demand continuing to surge, many global hospitality majors have evinced a keen interest in the Indian hospitality sector," says K. Pandia Rajan, Managing Director, Ma Foi Management Consultants Ltd. While, IT and ITES sector continues with high growth in recruitment at 7.3 and 7.2 per cent, the survey says that it is the Health sector which shows the highest growth in recruitment at 8.9 per cent. WASHINGTON: In American showbiz, "sleeper hit" is a term used to refer to a film (and sometimes even a book or an album) that gains unexpected success or recognition. Among the big sleepers in recent years are: The Full Monty , Little Miss Sunshine , and My Big Fat Greek Wedding . Breaking news for India is that a Hollywood sleeper has just begun to stir — and it comes from a debutant Indian-origin director who's not in the same bracket as Mira Nair, Deepa Mehta, or Shekhar Kapur — not yet. His name is Bharat Nalluri and his debut directorial venture is the rather unusually titled Miss Pettigrew Lives For A Day . But in a week that saw mega-movies such as 10000 BC and The Bank Job hit the screens in the US, it is Nalluri's limited release Miss Pettigrew that has the critics excited. From the New York Times : "As it stands, the movie, directed by Bharat Nalluri from a screenplay by David Magee and Simon Beaufoy, is an example of how a little nothing of a story can be inflated into a little something of a movie with perfect casting, dexterous tonal manipulation and an astute eye and ear for detail." From Washington Post : "After a particularly dour Oscar season, the jolly romantic romp Miss Pettigrew Lives for a Day sparkles like a rhinestone in the muck. Set in 1930s London, the story of a dowdy governess (Frances McDonald) who finds adventure and love when she works as a starlet's (Amy Adams) personal assistant for 24 hours is just the tonic for filmgoers eager for a film that celebrates the bearable lightness of being." And from USA Today : "Based on the 1938 novel by Winifred Watson, Miss Pettigrew is a veritable treat. Wisely cast, this handsome production is a delightful farcical fairy tale, bolstered by moments of depth and emotion." The movie is not about to rake in big box-office bucks just this week because, typical of sleepers, it has a limited screen release in the US. But, with '10000 BC' looking like a dud at the box office, Pettigrew looks set to grow in size. Nalluri was born in Guntur in Andhra Pradesh, came to England with his family when he was six, and grew up in Newcastle upon Tyne. This is his first full-length film, and according to his filmography on a movie database, he has directed episodes of the serials 'Life on Mars', 'Hustle', and 'Spooks' for BBC One, besides a two-part TV film titled 'Tsunami: The Aftermath'. In an interview to India-West, Nalluri joked that 'Pettigrew' was a tribute to his early familiarity with Bollywood. "This is my homage to my Sunday afternoons, growing up in India," he said. "My parents would put on a movie, and invite loads of people, and make a big Indian meal, and kids would be running around." Nalluri said there typically is a "Bollywood moment" in all his ventures and there is one in Miss Pettigrew too. Just minutes after the unveiling of the Nano at the Geneva Motor Show, Prodrive boss and now CEO of Aston Martin David Richards pumped Tata Motors MD Ravi Kant’s hand warmly saying, "there are so many beautiful cars around but you guys have stolen the show." A visibly thrilled Kant replied, "Coming from you that’s a huge compliment." The exchange continued, with some friendly asides about Jaguar Land Rover — "I understand we are soon to be neighbours," Mr Richards said so which Mr Kant replied, "We are trying very hard" — till the Tata official was pulled away by local media. David Richards wasn’t the only global auto CEO to sit up and take notice of the Nano. Minutes before the unveiling, Fiat boss Luca de Montezemolo dropped into the Tata pavillion for some congratulatory words and a warm hug for Mr Tata. Of course, not all reactions were quite that cheer-leading. Earlier in the morning, Honda Motor Company CEO Takeo Fukui answered questions on the Nano effect saying: "The Nano I don’t understand. The Jazz is the smallest car for Honda but we need smaller and cheaper vehicles for India in future. 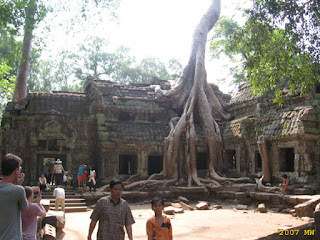 Of course ecology is important and safety is important too." Honda is already working on another small car to complement the Jazz in India in an effort to shore up its compact presence. For the man of the moment though these bytes are just that...bytes. And he takes them with equanimity just like he did when the top names in the business dismissed the Nano project as a can’t be done. "It’s interesting that the auto majors are talking about better fuel efficiency," he said. "A lot of these people said such a car could not be made in the first place." The Nano’s Euro debut and the interest it has generated both in the industry and media will of course come in handy when the car actually goes to Europe. At the unveiling, Mr Tata said that the top-end variant on display could find its way to Europe one day, though there’s nothing planned for now. "The Nano will address global markets in due course but when it will do so has not been decided." And when it does, the Euro Nano will be a different animal even though design wise it would remain the same. "We will upgrade the car when we do decide to sell it in Europe or elsewhere—not the design but it will meet all the regulatory and legislative requirements," Mr Tata said. "The car for Europe and other developed markets will be an evolution of the current model. But that will happen only after we establish the product in India." 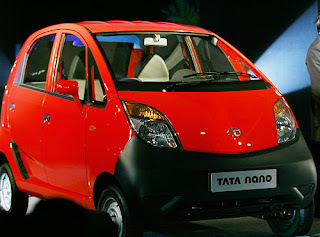 Mr Tata also indicated that if his capacity did not catch up with the demand for the Nano at home and abroad, he would be open to licencing arrangements with other auto companies. "If there’s demand we can’t meet, we will look at licenced production agreements but if we can meet that demand ourselves we will do so," Mr Tata said. Apart from Europe, the Nano could also find a big market in Latin America. As for whether Fiat will be involved in marketing the car in Latin America where the Italian company has a large footprint, he said: "Everybody will wait for the car to come out first and then look at the business case." Meanwhile, Tata Motors will use its satellite manufacturing concept to ramp up its distribution footprint for the Nano. "We intend to have satellite manufacturing units that would be low cost and these would be sold of entrepreneurs to them franchise manufacturers of the Nano," Mr Tata said. "This structure will not be in lieu of but in addition to our existing distribution system," he added. The Nano’s Euro outing though will not position it very differently from what it is elsewhere. "We’ve made a commitment to develop products that can extended to markets beyond India and Nano too is part of that," Mr Tata said. "In Europe too the Nano will be a compliant vehicle at a never-made-available-before price point." However the recent 4% cut in excise duty will not make the Nano sub-Rs 1 lakh. "We said we will give a Rs 1 lakh car and we will give a Rs 1 lakh car," Mr Tata said. "To expect the Nano price to go down even further would be unfair. We didn’t raise prices when steel prices went up. Steel prices have started to firm up again and will pinch us further this year." The excise cut, he said, will "perhaps" help hold the Nano price to Rs 1 lakh. Indeed the excise lolly was the only silver lining in an industry that’s readying for some really tough times, he said. That included lack of capital, high interest rates and creeping prices of inputs. "I was watching the news on the US auto market and it was so depressing I could barely drink my coffee," Mr Tata said. Any relief, whether on input costs or excise, will be a "contribution for a project whose costs have been pared down to the bone," he said. For Tata though the headline hour was not just for the Nano. On the Jaguar-Land Rover deal, Mr Tata said: "These are two iconic brands. It wasn’t a hostile bid but an invitation to pursue and we are fortunate to be in this line of discussion with them. The plan would be to retain the image of these brand sand not hamper them anyway. If the deal is complete our ambition is to nurture and grow these brands through our support." That’s right up Ford’s alley given that the American company trying to work out a repeat of its Aston Martin experience with JLR. Aston Martin’s engines were and continue to be made by Ford in a separate unit of its Cologne factory. In JLR’s case, the engine supply agreement was reportedly the most important point in the negotiations. According to Ford sources, the reason why the deal has not been sewn up yet is because "the idea is to make sure everyone understands their obligations". Ford does not want to end its relationship with JLR once it is sold to Tata Motors. "It wants to retain long term relationship and make sure it is mutually beneficial for JLR, Ford and Tata Motors," said the source. Clearly there’s more to David Richards’ banter with Bombay House brass than the Nano. Volvo Car Corporation on Tuesday said it plans to launch its sports utility vehicle XC60 in India next year. 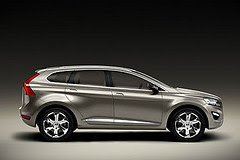 The company, which unveiled the XC60 at the ongoing Geneva Motor show, said the new SUV would find its way into India in 2009 as part of its product portfolio expansion in the country. "With the launch of Volvo XC60 in India we will be broadening our model range to attract more customers with an active, urban lifestyle," Volvo Car India Managing Director Paul de Voijs said in a statement. "With the expansion of our product offerings in 2009 we will further expand our customer base in the country," he added. Volvo Car India, a division of Ford Motor Company launched two of its flagship models, Volvo S80 and Volvo XC90 in the country in September 2007. The company currently market its products through 3 dealerships, one each in Delhi, Mumbai and Chandigarh. A new jewel of the ocean, glistening in the Bay of Bengal, is India's latest research ship the Sagar Nidhi. 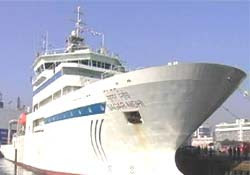 Inaugurated by Science Minister Kapil Sibal and Shipping Minister T R Baalu in Chennai on Monday, the ship sailed off to try out the new equipment. A rupees 232 crore floating laboratory, the ship will help map India's marine resources. It will aid in exploring undersea deposits of methane, the future's energy reserve. ''The Sagar Nidhi is a world class vessel, few of its kind exist in the world. It can be deployed to protect the common man in the event of a tsunami, to investigate the wealth of the bottom of the ocean and our national wealth. ''It will be used to solve the energy problems of India, because of a large amount of methane is entrapped in gas hydrates deep in the ocean,'' said Kapil Sibal, Minister, Science and Technology. Custom built in Italy, the ship is equipped not just for difficult deep-sea missions along India's 7500-km coastline, but can also sail to Antarctica in summers by effectively cutting through ice. The seventh in India's fleet of research vessels, 30 scientists live on it for 45 days at a time using the ship's artificial eyes and ears to explore the deepest part of the ocean. An underwater robot, which can travel down to a depth of six km can study marine life. The remotely operated vehicle on board is equipped to take underwater photos and to survey and monitor the sea bed. Australia crash-tackled and shoulder-charged but it was India who tonight finally up-ended the world champions with a tri-series finals whitewash. The jubilant Indians finished their controversial tour in triumph with a nail-biting nine-run win at the Gabba to send Australian vice-captain Adam Gilchrist into retirement in defeat. A career-best 63 from James Hopes ensured the second final went down to the wire with the home side needing 13 off the last over but he fell from the third last ball. Instead of a fitting one-day farewell for retiring wicketkeeper Gilchrist, it was controversial spinner Harbhajan Singh who laughed last and loudest, lapping up the triumph on the Gabba boundary in front of ecstatic expat fans. Australia's loss saw them crashing out of the best-of-three finals series in straight sets for the second consecutive season as they never fully recovered from another top-order collapse in chasing India's 9-258. Gilchrist lasted just three balls, walking for two after edging behind rookie Praveen Kumar in the first over, in his final international match. Swing discovery Kumar (4-46) proved the destroyer, the man of the match reducing Australia to 3-32, before a fightback by fishing mates Matthew Hayden and Andrew Symonds. But just when the Queenslanders had got back on level ground with an freewheeling 89-run stand, Harbhajan undid both within three balls. Hayden (55 off 68) walked off giving Symonds a gobful after a mid-pitch mix-up which finished with Harbhajan running out the opener. Two balls later, India celebrated like they had the series wrapped up when the spinner trapped Symonds (42 off 56) plumb leg before. Symonds' innings included a rib-rattling shoulder charge of a streaker just after he came to the crease with his team in dire straits. It's unclear whether the all-rounder, an avid rugby league fan, will find himself in hot water for the pole-axing. Symonds could face a fine or ban if the International Cricket Council decides he breached section 4.2 of the code of conduct relating to physical assault of a rival player, official or a spectator. The shoulder charge came hours after a frustrated Michael Clarke crash tackled the in-form Sachin Tendulkar when the opener inadvertently prevented him fielding a shot off his own bowling. A second streaker invaded the ground when Mike Hussey and James Hopes were mounting a second rescue mission, entering the field from long-off behind Harbhajan who immediately complained to umpire Simon Taufel. The distraction also got the better of Hussey (44 off 42) who edged behind Shantha Sreesanth that over to end their 76-run stand when 60 were needed off 48 balls. Taufel referred the low catch to third umpire Bruce Oxenford who strangely appeared to view TV's snicko-meter technology before adjudging him out. Looking to send the finals series to a decider in Adelaide, Hopes kept the home side in the hunt until he was the last wicket to fall. India entered the match without lanky seamer Ishant Sharma (finger) but Kumar ensured he wasn't missed. In what is likely to be the last triangular series, Australia's failure marks the first time in 23 years the host nation has been knocked out of back-to-back tournaments. After winning the toss and batting, India were eying a 300-plus total with first-final hero Tendulkar (91 off 121 balls) in control at 2-175 in the 35th over. But part-time spinner Clarke (3-52) was the surprise innings-turner for the world champions before Nathan Bracken (3-31) followed up to restrict India to 9-258. The tourists slumped to 5-209 when Clarke took his third wicket and the momentum was lost. Skipper Mahendra Singh Dhoni (36 off 37) ensured his team surpassed 250 but couldn't deliver enough lusty late-innings blows with the tail as Hopes and Bracken kept it tight at the death. Indian Rail has allocated £512 million to install 'green' toilets in around 36,000 coaches to prevent human waste from corroding rail tracks. Some 300,000 litres of human waste from "open-discharge" toilets across India's 40,000-mile rail network force railway workers to replace some tracks every two years, despite the tracks normally lasting 30 years. In last week's rail budget, which is always presented separately because of its enormity, railway minister Lallu Prasad Yadav said three toilet models would be fitted on passengers coaches: controlled discharge, biodegradable and vacuum-retention toilets. In the first, controlled discharge model waste from toilets would be discarded onto the tracks only when any train travelled more than 18 miles an hour, while the biodegradable toilet converted the litter via a microbial or chemical process into non-corrosive carbon dioxide or chlorinated liquid. Vacuum-retention toilets, similar to the ones in aircraft, retained the waste in a storage tank. "We are probably the only railway system in the world that has open-discharge of faecal matter," Ganeshan Raghuram of the Indian Institute in Ahmedabad in western Gujarat state told the recent World Toilet Summit in New Delhi. Apart from the bad smell, he added, the problem was becoming a lot more significant because of the high public cost as rail tracks and associated fittings wore out faster. The railway's old-fashioned toilets also contaminated soil and water, particularly when monsoon rains washed the accumulated waste into rivers and lakes. Indian Rail is the world's second largest network annually transporting over 5 billion passengers and over 350 million tons of freight. It operates more than 12,000 passenger trains between 7000 railway stations. India's government plans to spend nearly $13 million to create a special force to protect the endangered tiger population. Finance Minister P. Chidambaram announced to parliament Friday that the money will be used to raise, arm and deploy a special tiger protection force. A recent survey found India's tiger population has declined to just over 1,400 from 3,600 in 2002. 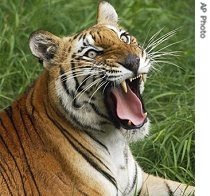 Chidambaram said the number should ring an alarm bell and that the tiger is under grave threat. India's government last month pledged to spend $150 million to create new tiger reserves and shift villages and tribal communities out of tiger habitats. Officials have also opened a national wildlife crime bureau to counter the poaching of tigers and other endangered animals. Tiger hunting is illegal worldwide. Poachers often sell tiger skins and other body parts to China for use in traditional medicine. Russian president-elect Dmitry Medvedev apparently shares an India link unknown to many. The 42-year-old successor of Vladimir Putin has a surname which can trace its origin to Sanskrit. Medvedev is derived from 'medved' the Russian word for bear. For pre-Christian Russians, who were the worshippers of wooden idols of 'Balvan' (almighty god), the use of the word 'ber' was a taboo and so they preferred to call the animal "Medved'. While in Russian, 'Medved' would have translated to 'someone having the knowledge of honey', in Sanskrit, the word 'Madhu Vedi' has the same meaning. Outstanding Indian scholar of Vedas and freedom fighter Bal Gangadhar Tilak in his book 'The Arctic Home in Vedas' has also mentioned about the common roots of the Russians and Indians. British billionaire Sir Richard Branson launched Virgin Mobile in India on Sunday aiming to tap the huge number of young people in the world's fastest-growing cellular market. The flamboyant tycoon was lowered by wires down the face of a 35-storey hotel in Mumbai, unveiling the Virgin logo in mid-air, to herald the firm's entry in a tie-up with India's sprawling tea-to-steel Tata Group. "India looks very, very promising," said Branson, who is tying up with Tata Teleservices. The service will be marketed under the Virgin Mobile brand name in India, whose cellular market is expanding by eight million subscribers per month. Virgin sought to deliver a "more tailored, more relevant offering" aimed at India's young population, he said. Some 51 percent of India's population of 1.1 billion people is under 25 and two-thirds under 35. The venture will offer music, entertainment and news on India's film industry, sports and stock market. Virgin needs to grab "only a small percentage of the market to do well," the tycoon told reporters in Mumbai on the weekend, adding that "the vibrancy of its youth and culture truly makes it Virgin territory." To start, Virgin will launch its service in 50 cities, expanding to more than 1,000 cities by December. Virgin is seeking to tap India after Britain-based Vodafone, the world's largest mobile company, made its entry last year by buying Indian cell phone operator Hutchison Essar for 11.1 billion dollars. Virgin Mobile "can capture more than 10 per cent" of the growing youth market within three years and generate more than 350 billion dollars in annual revenues, Jamie Heywood, deputy chief executive of Virgin Mobile India, said. It can do that by focusing on a single segment and by delivering innovative services, he said. Branson said he expected the Indian operation would be profitable within three years. It will sell Virgin mobile branded handsets at prices ranging from 50 to 125 dollars. Sachin Tendulkar's sublime unbeaten century led India to a thrilling six-wicket victory over Australia in the opening match of the Commonwealth Bank Series final in Sydney yesterday. India secured the win in the 45th over when Mahendra Singh Dhoni found the boundary to hand the tourists the early initiative in the best-of-three final. Tendulkar's masterly 117 – his 42nd ODI ton – came off just 120 deliveries and included 10 boundaries. The veteran opener was ably supported by Rohit Sharma, who hit a brisk 66 off 87 balls to bolster India's run chase. Tendulkar was positive post-match but admitted that India still had their work cut out for the next game on Tuesday: "To beat them is extremely important and now we have to beat them a second time," he said. "It won't be easy but we have shown that we can do it." Earlier Matthew Hayden made 82 to help the home side recover after being reduced to 24 for three. Australia passed 100 in the 18th over when Andrew Symonds effortlessly lofted Harbhajan Singh over mid-off for four. Harbhajan picked up the wicket of Hayden after the opener was caught on the run by Piyush Chawla at deep mid-wicket when attempting a sweep. Australia captain Ricky Ponting has called for a vast improvement from his side. "The bottom line was we didn't get enough runs and we didn't bowl well enough and we didn't field well enough," said Ponting. "I'm expecting a better performance from us on Tuesday." India built the world's cheapest car - the £1,250 Tata Nano - and has now unveiled the telecoms equivalent: the £10 “people's phone”. The mobile handset, developed by Spice, the Indian telecoms group, is angled at the lowest end of the market. It has jettisoned all non-essential features, such as a screen. “It is just a phone,” Bhupendra Kumar Modi, the Spice chairman, who hopes to sell about 10 million in the next year, said. Mobile phones priced under £20 account for a fifth of the global market. However, with half the world's population yet to make a phone call and Western markets becoming saturated, companies see huge potential in budget devices aimed at the developing world. The telecoms industry expects the number of people owning a mobile phone to grow to four billion over the next three years, from three billion. With the people's phone, Spice is joining the race to sell handsets to the up-and-coming new generation of Asian, African and South American consumers dubbed “the next billion”. The company, which is listed on the Bombay stock exchange and valued at about £1 billion, will begin selling its people's phone in Asian markets from next month. Spice has suggested that a £5 mobile is not far away. Cheap products from India are already making waves around the globe. Tata, has been inundated with queries from non-Indians asking whether they can buy the “people's car”. The 33bhp two-cylinder vehicle is priced at 1 lakh (or 100,000 rupees, about £1,250), excluding taxes. Tata will export it to the UK and other overseas markets in about three years. The close friendship between India and Russia touched a new high with the launching of the 'Year of Russia'. Cultural programmes marked the occasion as Prime Minister Dr. Manmohan Singh and his Russian counterpart Viktor Zubkov watched the proceeding at Purana Qila here last evening. "I am sincerely glad that the year 2008 is marked by such an important event in our bilateral relations as the 'Year of Russia'," said Zubkov. Dr. Singh took the opportunity to praise Russia for its giant strides in various fields. "The people of India greatly admire the achievements of the people of Russia in the field of art, culture and sports," Singh said. Artists from Russia, both folk and contemporary, brought alive the red sand stonewalls of the medieval structure in the more than hour-long concert. The concert had a spectacular laser show that also involved bringing alive images ranging from monuments like the Taj Mahal to scenes from nature. The concert had prominent Russian groups such as the Pleageya Band, Moscow dance company Alanta, the Russian folk choir, youth circus of Russia and Alla Dukhova ballet Jodes. Canadian Minister of National Defence and Minister of the Atlantic Canada Opportunities Agency (ACOA) Peter MacKay will lead an Atlantic Gateway- focused business mission to India from February 18 to 22. The mission will meet key business forums in New Delhi and Mumbai and promote Canada's Atlantic Gateway to Indian shippers, business leaders, and key government figures. MacKay will be accompanied by provincial government representatives and a private sector delegation representing airports, ports, railways, and transportation- related associations active in Atlantic Canada. "The development of Canada's Gateways and Trade Corridors is part of our government's commitment to facilitating international trade and increasing our national competitiveness by linking North America to the world," MacKay said in a statement. "This mission demonstrates our Government's continuing partnership with the four Atlantic Provinces to develop the Atlantic Gateway initiative," MacKay said. "The Atlantic Gateway is an important part of the Government of Canada's strategy to improve out trade competitiveness through gateways which connect North America with the world," Minister of Transport, Infrastructure and Communities Lawrence Cannon said in support of the mission. "We consider India to be a priority market and this mission will provide Canadian businesses with the chance to develop and strengthen commercial ties with their Indian counterparts," the minister said. Ministers from all four Atlantic Provinces will participate in the mission. In the largest private equiy deal in India’s power sector, steel baron LN Mittal and hedge fund Farallon Capital have invested Rs 1,580 crore for a 28.6% stake in Indiabulls Power Services (IBPS). IBPS is promoted by the Indiabulls group to set up power plants across the country. The move comes days after power sector valuations tumbled in the wake of Reliance Power’s listing and concerns over stretched projections prompted global investors to balk at doing similar deals with other power companies. Mr Mittal — who has already invested Rs 2,000 crore in several Indiabulls companies (6% in Indiabulls Financial Services, and holds 3% in Indiabulls Real Estate and 10% in the Raigarh SEZ project) — will invest Rs 592.5 crore for 10.7% of IBPS, which is 100% owned by Indiabulls Real Estate (IBREL). The North Carolina-based hedge fund Farallon will buy 17.86% for Rs 987.5 crore. The fund has invested about Rs 4,000 crore in the Indiabulls group, so far. IBPS has laid out plans for 11,400 mw of power capacity in several states including Maharashtra, Jharkhand and Arunachal Pradesh. The deal values IBPS at about Rs 5,525 crore, considerably lower than the figures quoted by other leading power companies such as Essar and Sterlite Energy. Both Essar and Sterlite Energy have been quoting valuations over $5 billion backed by their operational expertise and the fact that they already operate power plants. They are also looking for private equity. IBPS, on the other hand, has no operating power assets. Worries over stretched valuations have led to delays in closure of some PE deals in the sector. Those concerns have worsened in the past few days due to the poor IPO performance of Reliance Power. Power stocks have tumbled between 2% and 16% in the past one week. The R-Power scrip has fallen 17.77% from its offer price of Rs 450 per share since listing its listing on Monday. Post-equity dilution, IBREL will hold 71.40% in IBPS. The investment by LN Mittal and Farallon will increase the networth of Indiabulls Power to Rs 2,172 crore making it among the top five private companies in the power sector. “Except the sentiment, nothing has changed in the power sector. The fundamentals are still strong and the government’s programme for capacity addition of another 70,000-80,000 mw with private sector participation in the next few years is on the cards,” Anurag Purohit, research analyst with Religare Securities said. “Indiabulls sees a tremendous opportunity to capitalise on the growth of the Indian power generation sector. The Government of India has projected that to sustain the current GDP rates, additional capacity of 78,000 mw and 82,000 mw is needed during the 11th Five Year Plan (2007-12) and 12th Five Year Plan (2012-17), respectively,” Indiabulls Group founder and chairman Sameer Gehlaut said. IBPS through its subsidiaries has submitted bids for seven projects with a total capacity of 11,440 mw in partnership with leading domestic and international companies, where it holds 74% in each JV. IBPS JV with Temasek-promoted power firm SembCorp is in the fray for a 4,000-mw ultra mega power project at Tilaiya, Jharkhand. SembCorp, a Singapore-listed firm has a market capitalisation of over $6 billion. Temasek Holdings, an investment fund owned by the government of Singapore holds 49.9% in the company. Indiabulls and Meiya Power Company, Hongkong, have entered into a JV that has submitted the financial bid for the 1,320 mw pit-head power project at Bhaiyathan, Chhattisgarh. Through its joint venture with MMTC, a GoI enterprise, Indiabulls has been shortlisted to submit a financial bid for the 1,800-mw power project in Talwandi Sabo, Punjab. Other bids include three thermal power projects in Karnataka of 1,000 mw each. Indiabulls is also building two mega thermal power plants in Maharashtra with an aggregate capacity of 3,960 mw. This includes coal-fired super critical technology based on two separate projects of 2,640 mw and 1,320 mw each. The company has also signed an MoU with the government of Arunachal Pradesh for four medium-sized hydro projects in the state, where detailed project reports are being prepared in consultation with reputed international consultants.